Suitable for companies that are active in different languages. This edition includes a basic webdesign for your entire website and a limited number of standard and optional modules. Built with the most innovative and feature-rich Content Management System. Perfectly suited for businesses that operate in one language, possibly spread over several geographical regions. A custom-made website design (one page template). The design process includes one design review. Alternatively, you can supply an existing website design. Your website will look good on all popular browsers. Unlimited pages and articles, and ample storage for content files. 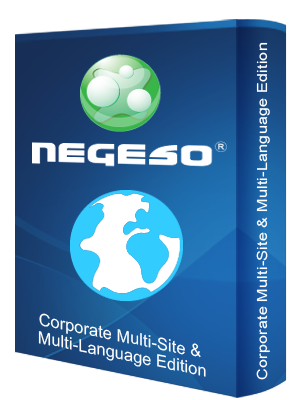 Fully integrated with Google services, such as Google Analytics and our Search Engine Optimization tool Negeso-SEO. 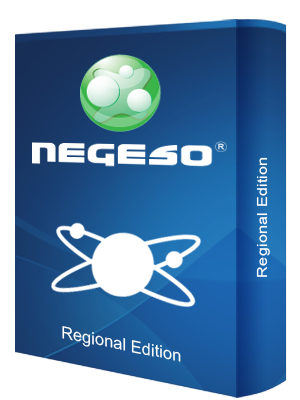 Hosting on the Negeso worldwide hosting platform for maximum speed and reliability, fair usage policy. Unlimited support by phone and e-mail. Price: 1.999; hosting, maintenance and support fee €39 per month. Upgradable to a higher edition at any time, and can also be expanded with optional modules and custom-developed software. Compare this edition to other editions. Suitable for companies that are active in different languages and that also have a need for an extensive webdesign and social media. As part of this edition you will get the News Pull Module and the Twitter and Facebook connectors so that you can automatically post news articles on your Twitter and Facebook accounts through your CMS. A custom-made website design (four page templates). The design process includes two design reviews. Alternatively, you can supply an existing website design. Suitable for international companies that are active in various languages. This edition includes five languages and a website translation module. You will get three web designs. Lots of standard modules and almost all optional modules are possible. Perfectly suited for international business and organizations, operating in many languages, possibly spread over several geographical regions. Including the Site Translation Module and five language environments. A custom-made website design (thee page templates). The design process includes two design reviews. Alternatively, you can supply an existing website design. Unlimited pages and articles, ample storage for content files. 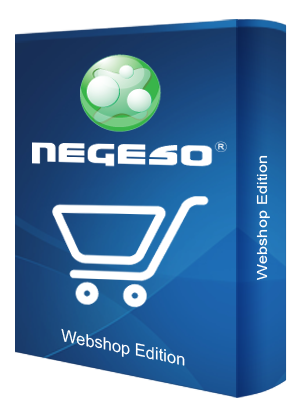 1 year free Search Engine Optimization tool Negeso-SEO. 15 SEO reports and telephone support. Unlimited SEO support by phone and e-mail. Price: 6.999; hosting, maintenance and support fee €69 per month. Upgradable to a higher edition at any time, and can also be expanded with optional modules, extra language environments and custom-developed software. Suitable for multinationals with organizational units that are active in different languages and target different geographic regions specifically. This edition allows you to define various geographic/language environments for different regions that have the same language. For example, you can make an English website (environment) for the U.K. and an English website (environment) for Australia. This will make it possible to target different markets with different content. Perfectly suited for multinational corporations with branches operating in many languages and targeting geographical regions specifically. Including the Site Translation Module and five geographic/language environments. Includes the Multi-Region Module: with this module it is possible to define multiple geographic/language environments to target different geographical regions in the same language. For example, you can have an English website for the U.K. and one for Australia, which makes it possible to target different markets with different content. A custom-made website design (five page templates). The design process includes two design reviews. Alternatively, you can supply an existing website design. E-mail with unlimited e-mail addresses. 1 domain name, choice of many extensions. 20 SEO reports and telephone support. Hosting on a dedicated server. Pricing: 14.999; hosting, maintenance and support fee €189 per month. Upgradable to a higher edition at any time, and can also be expanded with optional modules, extra geographic/language environments and custom-developed software. Suitable for companies that want to sell goods, services and other content via the Internet. Perfectly suited for businesses selling goods, services and/or content online. Includes custom online order forms, Cart and Payment Module. All major and popular worldwide payment systems are supported. Create and redeem vouchers with the optional Product Voucher Module. A custom-made website design (two page templates). The design process includes two design reviews. Alternatively, you can supply an existing website design. 10 SEO reports with telephone support. Price: 9.999 hosting, maintenance and support fee €39 per month. Suitable for companies that want to sell goods, services and other content via the Internet, but that are also active in many different languages and focused on different regions. 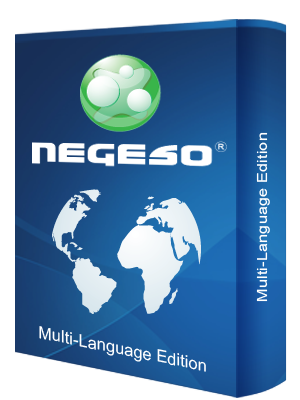 This edition includes two languages and the Voucher Module. Perfectly suited for businesses selling goods, services and other content online, possibly operating in many languages and targeting geographical regions specifically. Includes custom-designed Product Catalogue Module, Cart and Payment Module. All major and popular worldwide payment systems are supported. 15 SEO reports with telephone support. Price: 9.999; hosting, maintenance and support fee €99 per month. Suitable for companies that want to sell goods, services and other content via the Internet, but that are also active in many different languages and focused on different regions. This edition includes a link to your LOB/ERP system, five languages and the Voucher module. Includes the Site Translation Module and two language environments. Includes custom-designed Product Catalogue Module, Cart and Payment Module (all major and popular worldwide payment systems supported) and automated Product Catalogue Import Module, enabling you to synchronise from your LOB/ERP systems. Price: 14,999; hosting, maintenance and support fee €149 per month. Suitable for wholesale companies that want to have a shop-in-shop for its resellers. Unlimited number of resellers. Includes a link to your LOB/ERP system, five languages and the Voucher module. Perfectly suited for wholesalers who want to provide their resellers with an online shop. Unlimited number of resellers. Including the Site Translation Module and two language environments. Including custom-designed Product Catalogue Module, Cart and Payment Module (all major and popular worldwide payment systems are supported) and automated Product Catalogue Import Module, enabling you to synchronise from your LOB/ERP systems. Price: €24.999; hosting, maintenance and support fee €349 per month.